even in those environments, achieving that service level as consistently as possible throughout the month is an important secondary target. You want a customer to get through as quickly on a Tuesday at noon as on a Friday at 8pm. Getting real time management right plays a huge role in driving this consistency. When your agents are out of adherence, who is responsible for getting them back on the phones? How about when they are sitting in after call work for 10 minutes? Is it the responsibility of workforce management, or the responsibility of the team leader to address the action? Or is this even clearly established in your contact center? 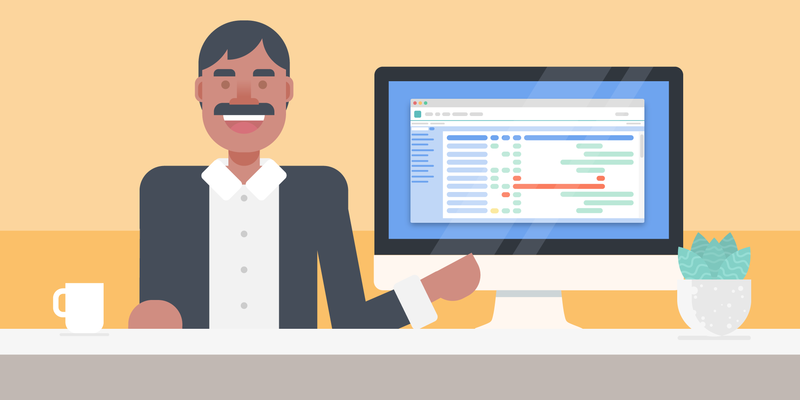 Effective real-time management is based on having the right reports that measure compliance and clear process for acting as you see variations. Both of these are the responsibility of the operations team, not the workforce management team. No time to read the full article? Just download it as a PDF and read it offline, anytime, anywhere. 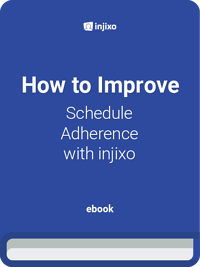 While it’s true that your workforce management team has access to the data – they know the variance, and that they are viewing average handling time (AHT) and adherence real-time, the reality is that agents are accountable to their team leaders. Workforce management needs to be focused on forecasting, scheduling, and managing service levels. In the best contact centers, the roles and responsibilities are clearly documented. Schedule adherence and after call work management are part of the overall performance management processes. They fall into the same bucket as quality, call control, customer satisfaction, absenteeism and other metrics. The team leader has to manage the overall performance of the agent. They engage in performance management, they set targets, they may even terminate employees for these metrics. On the other hand, workforce management isn’t equipped to engage in performance management. If they call to an agent that is out of adherence, the team leader doesn’t have the opportunity to track a pattern of behavior and coach that agent. The same goes for after call work as well. When workforce management acts as the “police” to the agents, it may resolve the immediate issue, but prevents longer term solutions. Ultimately, the best real-time management is when the agents are complying to the adherence and other productivity targets without interventions. Both team leaders and workforce management, however, should be plugged in to the real time adherence in your workforce management software. Set up thresholds for alerts. Most systems will allow you to have a yellow or red alert when certain thresholds are met. For example, if someone is out of adherence for 3 minutes, it may flash yellow. At 5 minutes, it will flash red. Setting these up in advance allows both groups to focus on other work, and manage this by exception, vs. constantly looking at the screen, which is inefficient. You don’t want to respond to every minor variation, either. So, by pre-setting your thresholds, you allow for some natural variation over the course of the day, but can take action as soon as things get bad enough that they may impact servicing. Once you develop your thresholds and actions, you should meet with your partners in operations to get their alignment. There is often resistance to cancelling any offline activities. That makes this alignment critical, because once you have a queue, you have to act quickly. There isn’t time to waste negotiating and debating the actions. Calls just pile on while that’s taking place. If you aren’t getting the receptiveness you need as you engage with operations, you may have to go up a level to get engagement from someone who understands the importance of balancing the offline activities with making sure your customers can get through. You can also use this same tool for average speed of answer (ASA), calls in queue, longest wait time, abandon rate, and other metrics that may be important to your environment. The key is to have alignment, and to ensure everyone knows what to do when you hit a certain threshold.